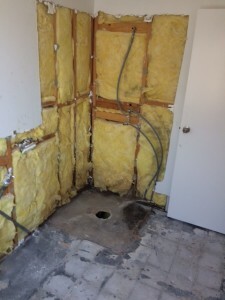 If you are thinking of doing a bathroom remodel you may find this blog of some use. When you think of bathroom renovations you are probably thinking about the mess, intrusion, renovation costs and the length of time your home will be invaded by tradespeople. 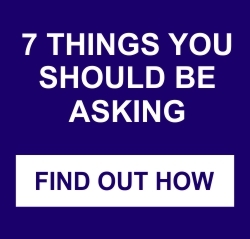 It is true any bathroom remodel will include all of these things but if you are well prepared for this in your mind, the outcome will be 100% worthwhile and stress free leaving you with a beautiful new bathroom design. Always make sure that your renovator has insured all works on your project with the QBCC (Queensland- local authorities in other states) and that you receive a copy of this insurance policy. You should also do a check on the QBCC website to make sure that your renovators business is licenced. This will give you a guarantee/warranty for all trade work provided. Do your research on fittings that you may need such as tiles, baths, showerheads, tapware and fittings such as towel rails , toilet roll holders etc. There is an astonishing array of products available when renovating a bathroom, ranging dramatically in price and quality. Make sure you have some type of warranty on anything you purchase, beware of cheap deals on the internet. Warranties for fittings purchased online can sometimes prove to be troublesome and the quality disappointing. Renovation costs vary of course however a rough guide is as follows. A standard size bathroom 2400x2400x1800 will cost approx 13-15K (custom vanity, mirror and shower screens included) PLUS fittings, as above. There are varying stages when renovating a bathroom that you should be made aware of as in electricity or perhaps the water supply may disconnected for a short period of time. The first thing you will see arrive is a skip bin for removal of all old walls, floors, tiles or fittings so that the bathroom renovations can proceed. The walls are stripped back to reveal any underlying problems and can be remedied accordingly. The layout of your bathroom design can be altered, if desired, at this stage. As with most type of renovations, renovating a bathroom can sometimes reveal some no so nice surprises. For example, once the floor has been jack hammered up you may find evidence of poor building practices by the original builder or previous renovator. There may also be asbestos present or even termites can be found munching on your home. 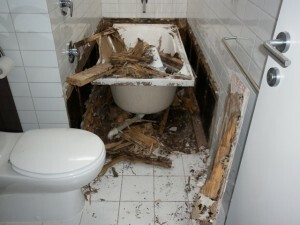 If his is the case, any and all structural problems found will need to be remedied to continue renovating a bathroom. Your renovating company , in some cases, may have to leave your project for a said amount of time for experts to take care of such instances before they can continue your bathroom remodel. This will naturally have an impact on your renovation costs over and beyond your original quote. Once the structure is found to be stable and pest free, tradespeople can commence work to transform your tired old bathroom into a fabulous new bathroom design. Make sure to take a photo before doing bathroom renovations as the end result is nothing short of an amazing transformation.